Our turbo ventilated, amphibious light hiker made with sticky G® Rubber outsoles, a level footbed, and our ingenious Top Shank™ is made to confidently navigate the most technical trails and river beds. Send me an email when the TR1 Trek M's is available please! Uppers: Hydrophobic canvas with protective TPU overlays at toe, heel and quarter. Brass eyelets, supportive EVA heel cup. Removable Polygiene® treated insole. Heel tab. Includes alternate color laces. All Astral shoes have a special relationship with water. Every component, from the thread to the laces are critically evaluated and chosen for its ability to hold up after constant soaking, to shed water, and not to accumulate funk. Many models have engineered drainage for water to come out while minimizing entry of silt. We believe that a foot’s position in a shoe should be similar to when barefoot. This allows excellent balance and biomechanically natural lifestyle. Foot-beds are essentially level (only 1mm drop from heel to toe ) and provide medium arch support. 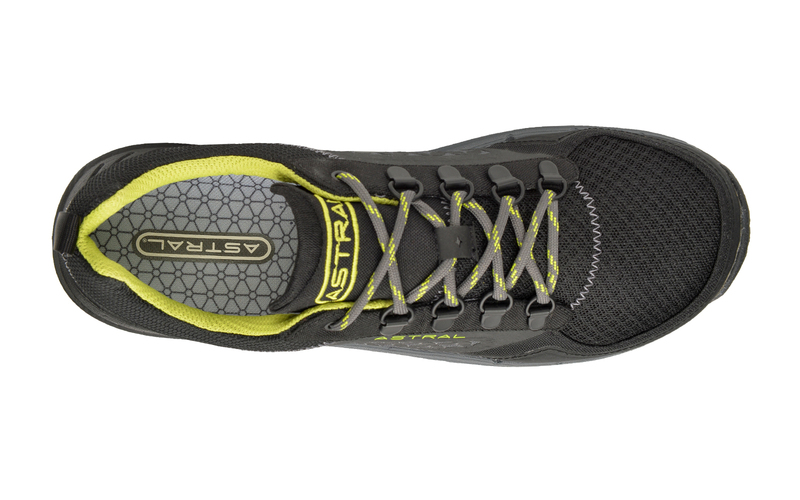 Tapered instep and heel area for better foothold and control. Wide forefoot allows your feet and toes to spread out for stability. This G compound is formulated for premium grip while also providing "excellent" abrasion resistance. Its low durometer means the rubber is softer and therefore conforms well to the ground. My hubby wore these while training to walk the Pacific Crest Trail. A successful Appalachian Trail thru-hiker at age 61, he then wanted a sturdy but flexible shoe for city and local trail walking as he increased his daily training miles in preparation for his next long hike. These Astrals were exactly what was needed. Bought the TR1 about a month ago. I was a little skeptical at first. I have a tendency to get pain in my wheels if there is not enough cushion. After wearing them on the trails , and around town I would say these are one of the best shoes I have owned . Comfy, light , and they look good . Definitely will be buying another pair again. I have worn these shoes everyday for about the last 7 months ranging from days at the office to hiking in Rockies and Western NC. Best hiking shoes I have owned - only pair of shoes/boots that I have ever worn that leave me with zero foot pain or hot spots after hiking for 8+ hours in day. Extremely durable and after all the months of heavy wear still look good (no loose threads, tears, or peeling of sole away from thoe shoe) with plenty of tread left. Only complaint (which also applies to my pair of Junctions) is that the plastic like guard around the toe should be a thru-color material and not just a thin layer of that dark coating as after a month or two it wears away and you see the white of the base material on the toes of the shoes - which really sticks out on an all brown shoe. Hopefully this is something they fix but regardless still my favorite pair of shoes and will continue to buy and recommend. Earlier this year I bought a pair of Astral Brewers to take to Costa Rica. While they are recommended as a water shoe, I wore them both for light hiking and even for short walks around town. I loved them because they were comfortable and seldom slipped on rocky trails. When I returned to the U.S., I wanted to move up a notch. 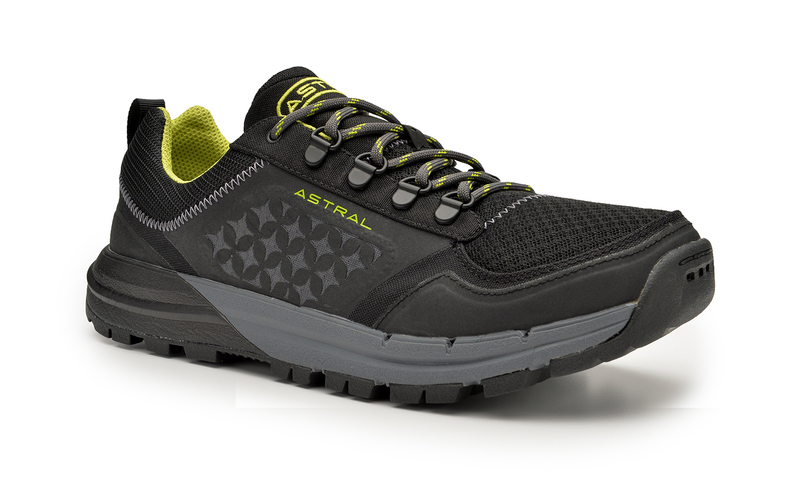 After discussing with Astral staff, I purchased a pair of Treks. I recently took them to Big Bend National Park (Texas) and wore them on three five+ mile hikes. Some of the terrain was wet (even slightly muddy) and some consisted of slick rock. The Treks performed excellently and really never slipped. I felt like I could walk straight up a rock cliff and they would cling to the wall. I highly recommend this shoe and believe that they will perform as well or better than some of the more well-known hiking shoes/boots that are more expensive. Now I am thinking of moving up to a pair of Merge to take back to Costa Rica and on an adventure to Ecuador as well! 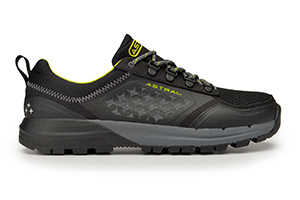 Great rugged hiking shoe thats stylish comfortable enough to just wear everyday! Got some creek crossings on your trail? Boom! These shoes got you covered! Did a waterfall hike recently and saw other hikers almost one by one slipping on the wet rocks and subsequently bruising their buttocks and egos. Not me. No way. I had Astrals super spidy grip on my feet. I cruised up the creek like a boss. If you want to be the coolest guy in the mountain, or the grocery store, then get this shoe. Itll be your new fav guaranteed. I am a hiking guide in Western North Carolina and an avid long distance hiker. I was introduced to the TR1 Trek last year and I have put a lot of miles on this model. I wore 1 pair for my entire backpacking and day hiking season, over 300 miles on one pair, many of those miles with a 75lb backpack. I also hiked the entire Mountain section (450ish miles in 3 weeks) of the Mountains to Sea Trail in one pair. Working in the Smokies, I experience very damp, muddy and slippery conditions ALL THE TIME. I've never felt the level of confidence in grip as I have in these shoes. In the last 4 years, I've worn out 20 pairs of hiking shoes so I've seen all kinds of wear patterns, all terrain grip and soles as well as different style footboxes and lacing systems. 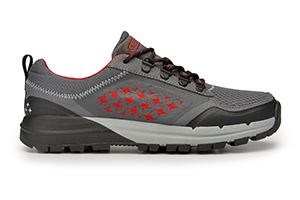 The Trek's have outperformed most traditional trail shoes that I can think of. Incredible grip, a large wide sole for stability, ultra light, quick drying materials, consistent comfortable footfalls from a well cushioned yet dense mid-sole, the uppers don't tear or break (even with constant rock and root snags). I've used these shoes on rock, roots, mud, sand, roads, gravel, snow and ice, and they never cease to surprise me. If you want something that will last, be comfortable and provide confidence while you hike in the backcountry, these shoes are for you. I have a pair of junctions that I love, but wanted to see the difference between this shoe and the junctions. These are essentially the same shoe, except this shoe has a little more protection. I've only had these a few weeks but wear them all the time! These are easily my favorite hiking shoe. Light, sturdy, breathes and plenty of room! Best shoe I've seen yet from Astral. I have been supportive of the Astral brand for a number of years now. I've transitioned from just wearing Astral shoes to go paddling, to wearing their shoes everyday, going on hikes in them, and sometimes using them for runs. Living in Seattle, it rains frequently and everything I walk/run on seems to be slick. When the pavement is wet, these are my go-to shoe for running (especially when running up a big hill with wet pavement). When I'm going on a day hike, these are my go-to pair of kicks. When I'm going to work (you guessed it), these are my everyday work shoe (especially on rainy days). No matter how lazy I am about taking care of and cleaning my shoes, my TR1s look just like they're in great condition. They are comfortable, durable (I'm lazy about product care, remember? ), classy enough to wear to work or a nice restaurant, and versatile (straight from the trail to the cubicle). Bravo Astral! The TR1s are a great sneaker! In preparation for the slot canyons of southern Utah and northern Arizona, I've been trying out these beauties in the deep, wet forests of the Pacific Northwest. Even on soaked mossy rocks at a rapid pace, my grip is nicely controlled. The excess water that the region is known for drains efficiently, keeping my tootsies comfortable for the duration of the hike. The design is supportive and snug, yet still allows for good circulation and ample room in the toe box. I'm pleased as punch with how my Treks are working out. This is an incredible shoe! Extremely well made, stable on a wet/dry trail, and insanely grippy. I definitely will be getting more Astral shoes! I use these for disc golf, usually 2-3 times a week. After 2 months they don't really show many signs of wear. They're lightweight, fast-drying and very durable. I love them. These are well made, zero drop shoes. They have a firm footbed to protect your feet and the grip on the soles is amazing. You can do anything you want in these shoes and I can wait to try some new trails in them! Where have these been all my life? From the water to the trail to the gym and just kicking around, an amazing shoe! All day comfort in any activity, Astral has earned customers for life with amazing products and awesome customer service! My second pair of Astrals and my wife's first, definitely won't be our last! Trek M's would be hard to beat as a first pair of Astral shoes! 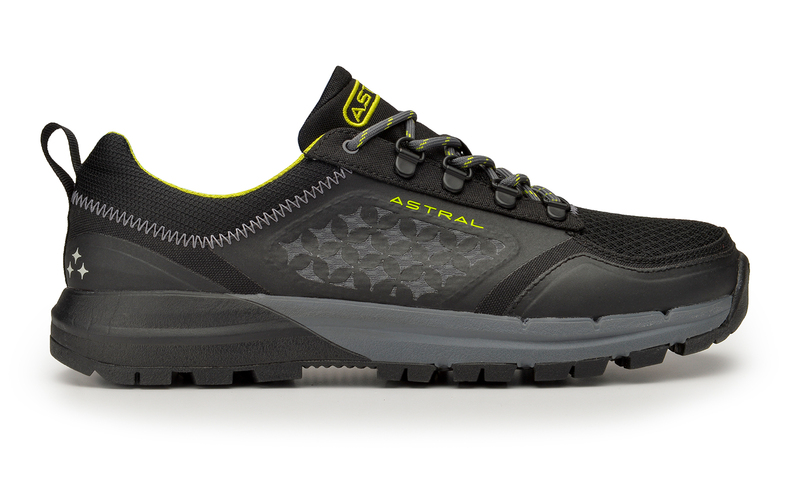 These are my third pair of Astral shoes, and they just keep getting better. The ventilation on these Trek M's is fantastic, and I say this as a "hot foot" person, living in the desert SW. The grip is of course fantastic, and the fit is typical of Astral shoes; ultra low drop, great heel support and a nice wide toe box. The Trek are a fantastic addition to the Astral line, and I hope to see more colors in the future. The Basalt Black ones that I have are a great all around color, and the accent color goes very well with a variety of other clothing colors. If you normally wear athletic shoes with outfits, these will look great. I am sold not only on the Trek M's, but the Astral Brand as well. I would consider my foot wider than a regular foot, and these seem to fit well without any of the "tippy" feeling I get from regular brands like Asics or Reebok in their regular width (not downing those brands, just what I have experienced with them personally). It would be hard to beat a pair of the Trek M's as a first pair of Astral shoes, they have a normal look, but extraordinary function and construction. 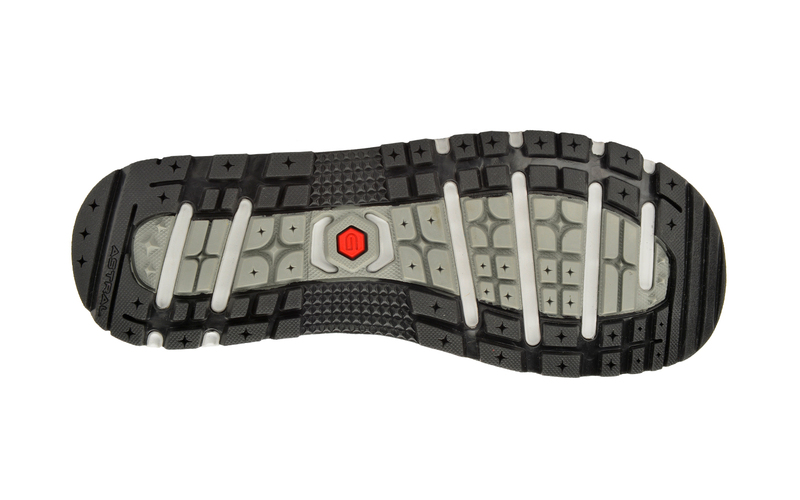 Grippy in mud or on rock, supportive and just stiff enough for really rocky terrain, still light breathable and water ready for everyday. I love the traction on wet surfaces and the fit of the shoe. I wish it dried faster, it usually takes 2 days to fully dry out here in the north west. My only real complaint with the shoe is the heel counter. Whatever substance Astral uses to make the heel counter easily breaks and fragments creating lumpy hard areas of prominence in the heal. I have been able to work some of the larger offending pieces out the edges of the fabric, but I would not want to wear this shoe barefoot. Fortunately for my purposes, over a wool sock, dry suit, and neoprene sock these lumpy hard prominences do not bother me. Laces won't stay tied because of type of slick materials used and when trying to tie a double rap laces are to short.